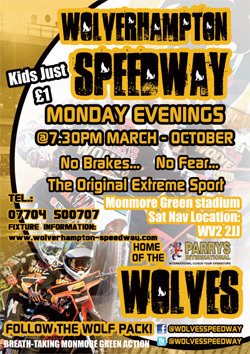 Admission for Wolverhampton Speedway can be purchased at Monmore Green Stadium, Wolverhampton, on the evening of each match (pay at the turnstiles). Most matches start at 7.30pm, but get there early to avoid the queues! Join the pack for the night! 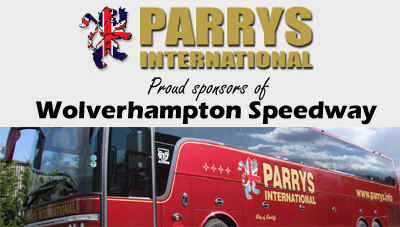 There’s nothing like a night out with friends, so why not make it a night to remember by filling it with excitement, thrills and spills at Wolverhampton Speedway. With all kinds of gatherings catered for, treat your party to a top-notch evening of non stop entertainment and hospitality! 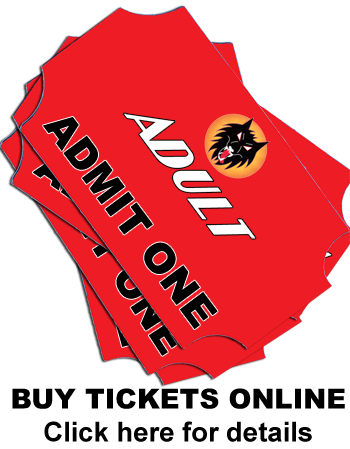 Of our 3 popular Group Packages, there’s guaranteed to be one that’s right for you. And that’s not all! 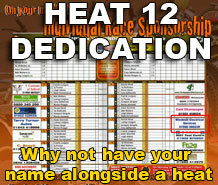 We will even give you a special track announcement AND mention of your group in the programme! 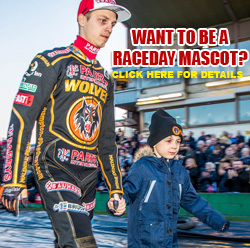 No matter which you choose, each of these packages includes a full guided tour of the Race Pits, the ability to get up close and personal with the Riders, and exclusive access to the centre green where nothing but air separates you from the action. 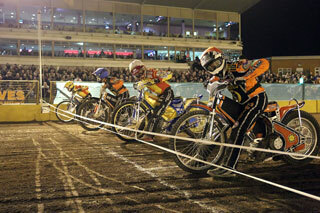 This is Speedway like you’ve never experienced it! 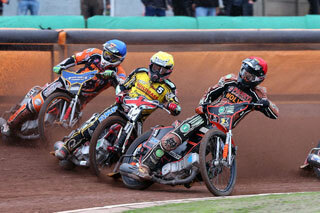 E-mail info@wolverhampton-speedway.com or phone 07704 500707 for more detail.